Montgomery roundabout at 4:30 am – looks cold don’t it? 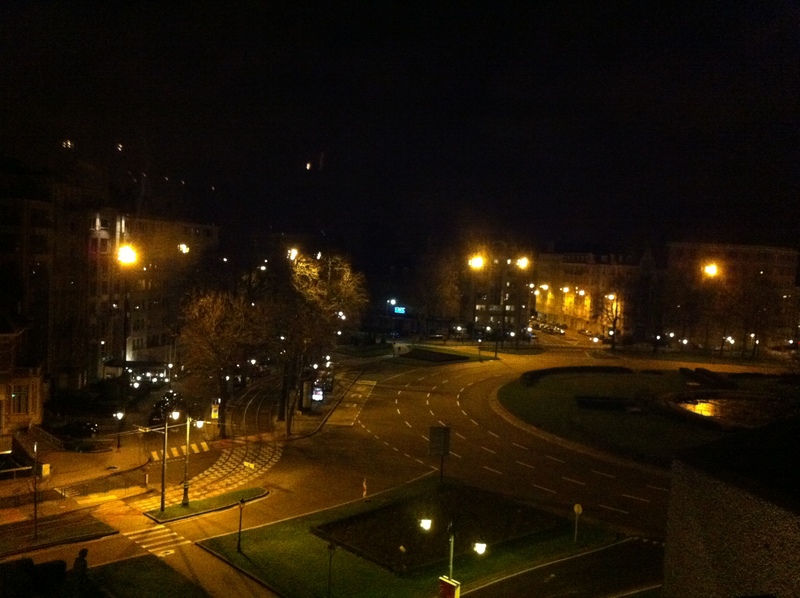 I’m in Brussels at the moment, just down the road from Charleroi and Waterloo. This is perfect for the wargaming but a little unfortunate as I have to work. Looks cold out there doesn’t it? It has been around 4 degrees in the day time with a lazy wind ((the wind is so lazy that it doesn’t bother flowing around you it just blows straight through you)) blowing from the north. Snow is expected tonight which will make a change from the sleet and rain of the past couple of nights. I like Brussels with it’s beautiful old four and five storey houses in brick and stone. I particularly like that many folks in the restaurants and such are pretty good at speaking English. I noted when we arrived at Frankfurt on the way here that you could tell you were in Europe – the first advertisement we say on the skybridge was for ICBC – a Chinese bank. 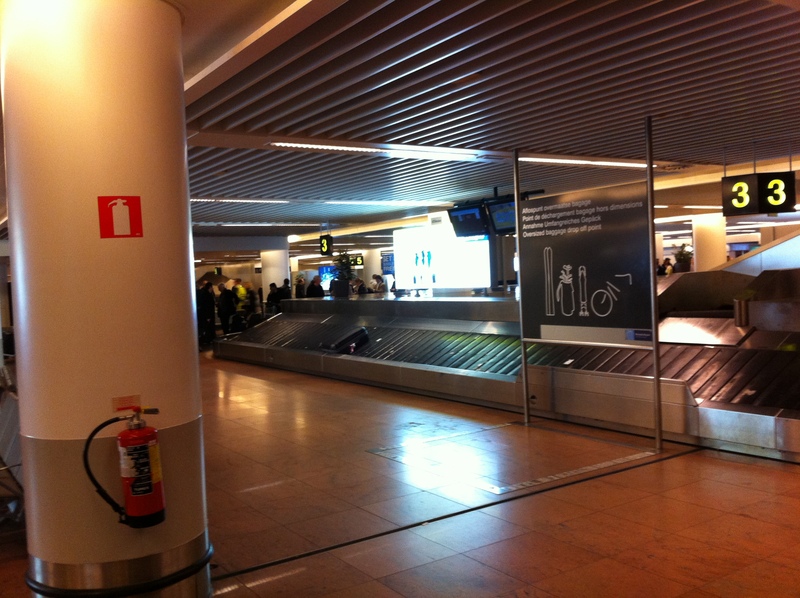 The down side of the trip so far has been Brussels airport. Getting through to collect the bags was a breeze although it was a long walk from the plane to the baggage hall. 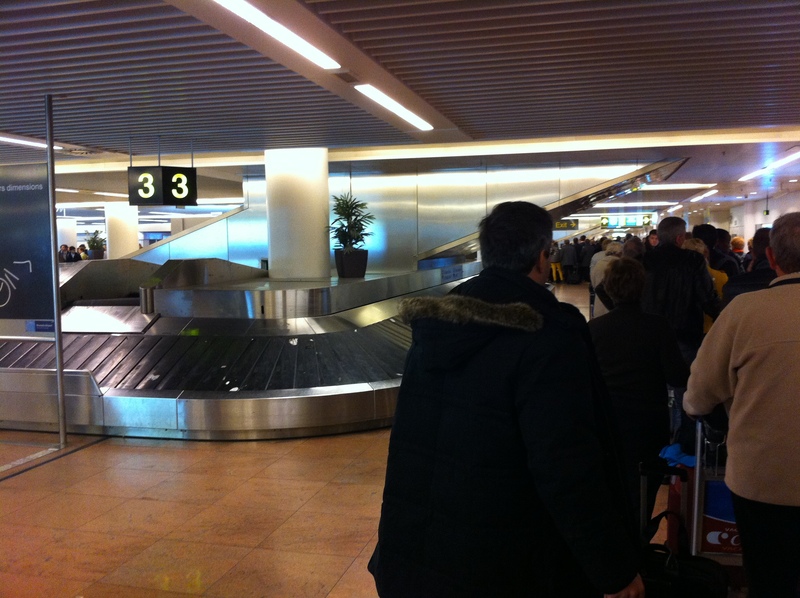 Unfortunately, when we collected our bags there appeared as though there must have been a customs strike as the queue to leave through either the green or the red channel was even longer than a terminal 3 immigration queue at Heathrow. After standing in the queue for about 30 minutes the police or someone decide do just open the customs exit and with a mighty surge we all squeezed out and raced to the taxi rank where another mighty queue formed – this time, however, it was serviced by all the vacant taxis.